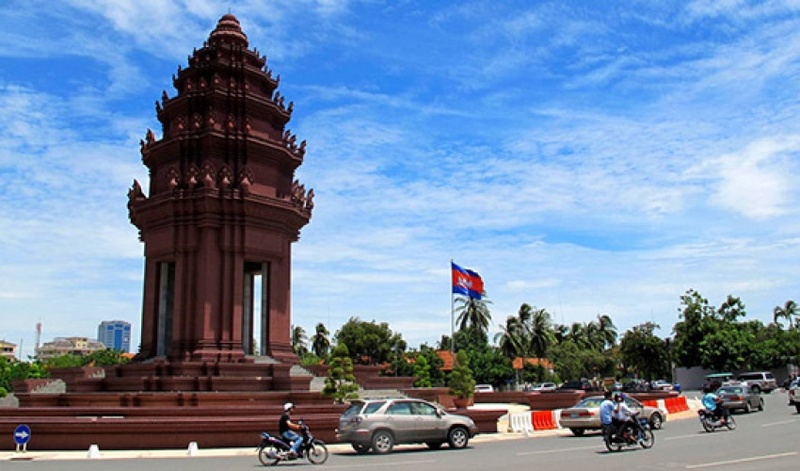 The Independence Monument (Vimean Ekareach) was inaugurated on November 9, 1962 to celebrate the independence from the French in 1953, but now also serving as a cenotaph to Cambodia's war dead. 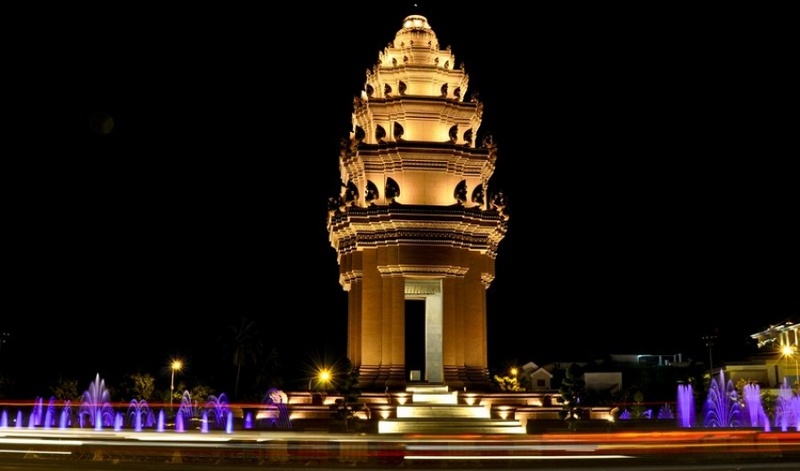 The 20-meter high monument was designed by Cambodian architect, Vann Molyvann, and is shaped in the form of a lotus, which also can be seen at Angkor and other Khmer historical sites. 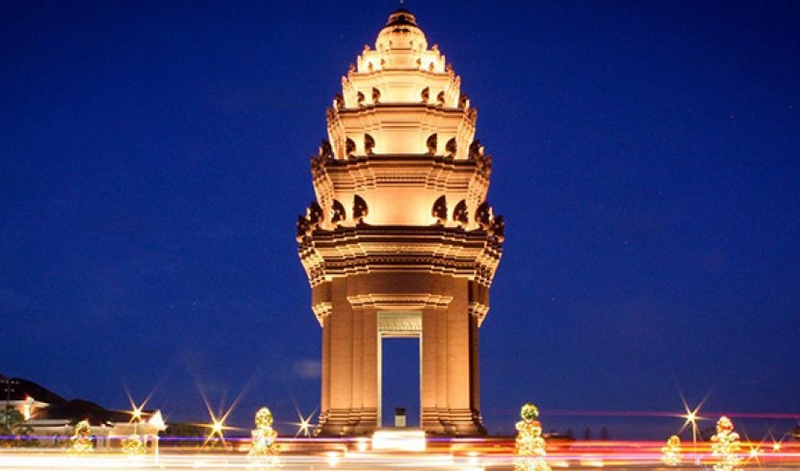 You are not allowed to enter the monument. 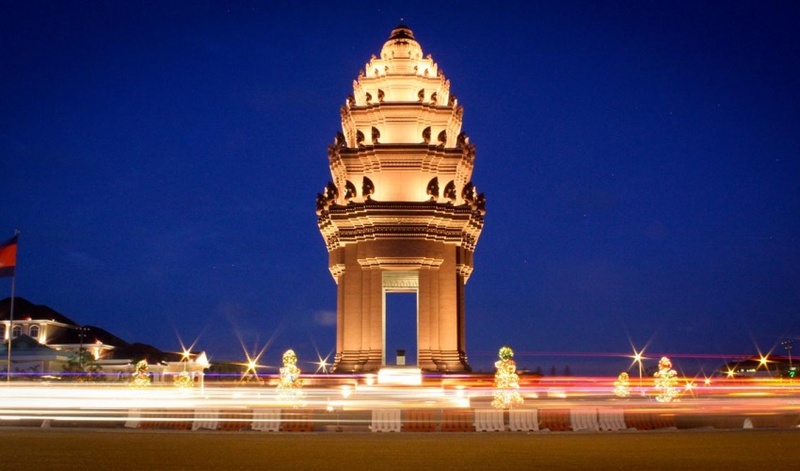 At night it is lit with blue, red and white light (the colours of the national flag) and it should be an impressive sight - but I didn't see it. 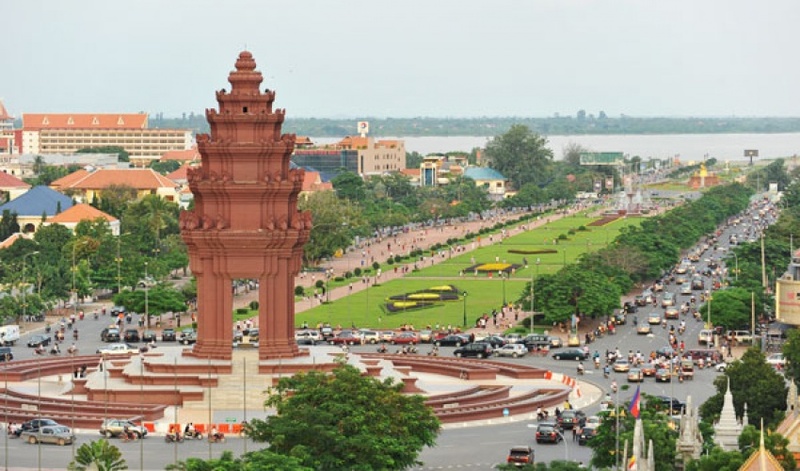 There is a big open park at the Independence Monument and it seems to be a popular place among the locals. 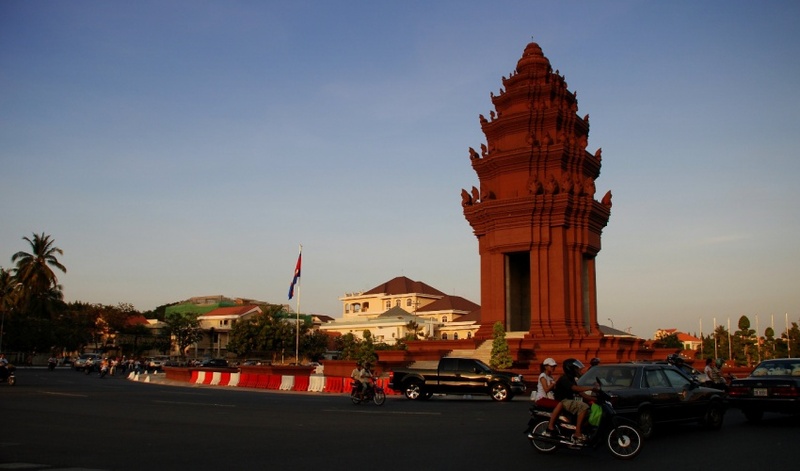 Smacked right at the corner of Norodom and Sihanouk Blvd, this piece of landmark is hard to miss. 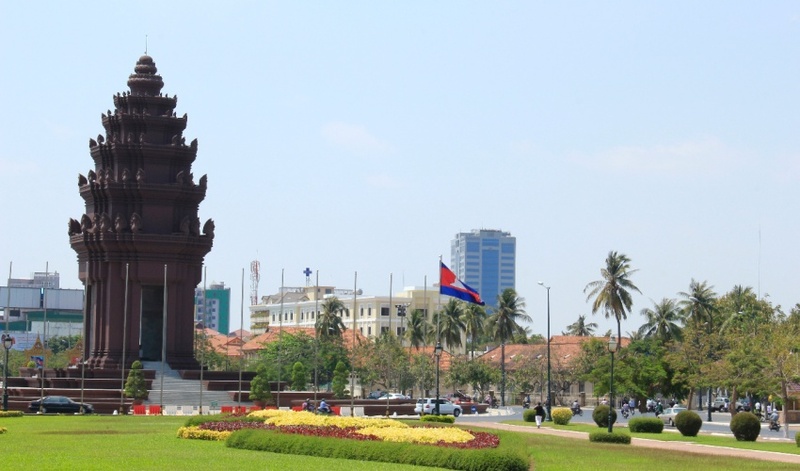 I took a nice picture of this piece but be careful because it is located in the middle of a round about.The monument was built in 1962 to celebrate Cambodia's independence from the foreign rule. 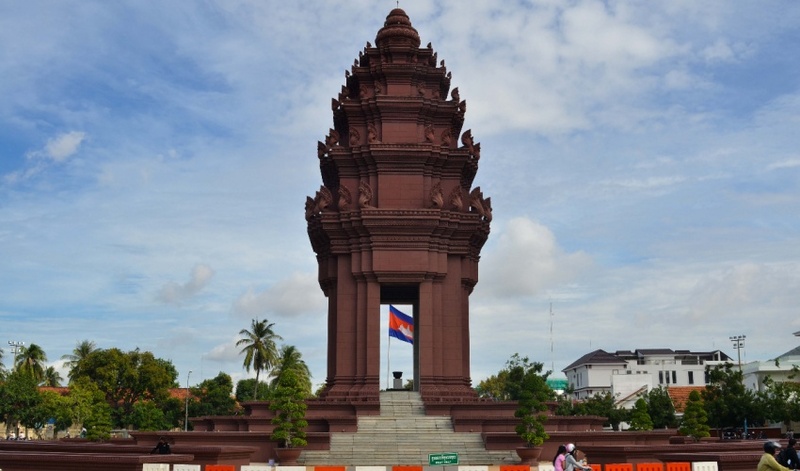 It also serves as a monument to Cambodias war dead. 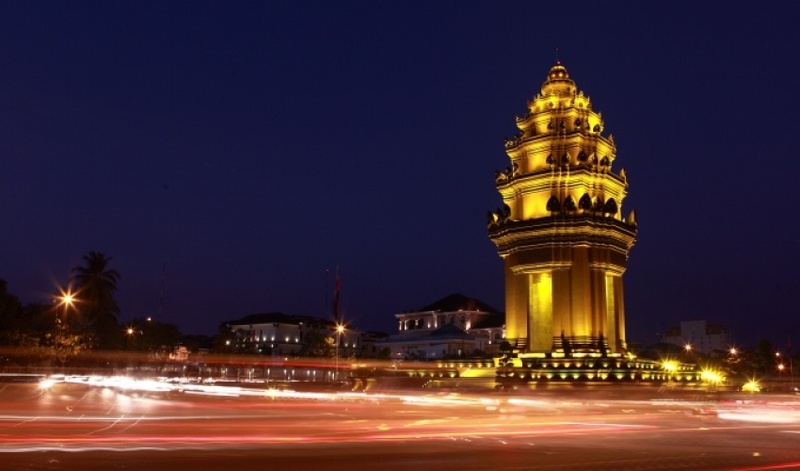 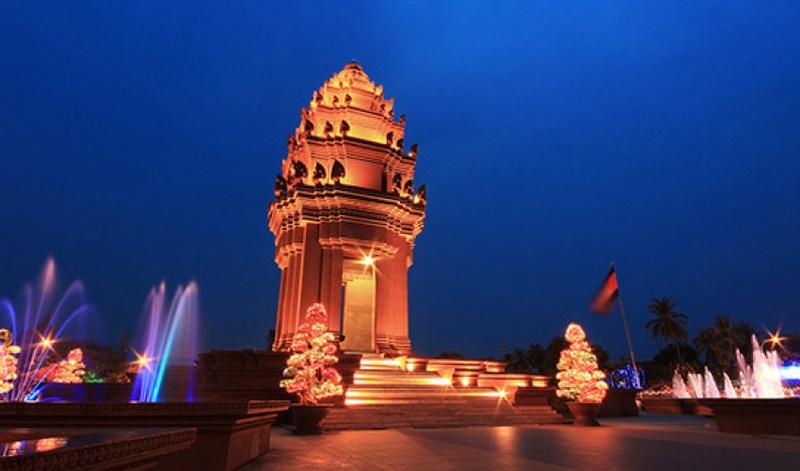 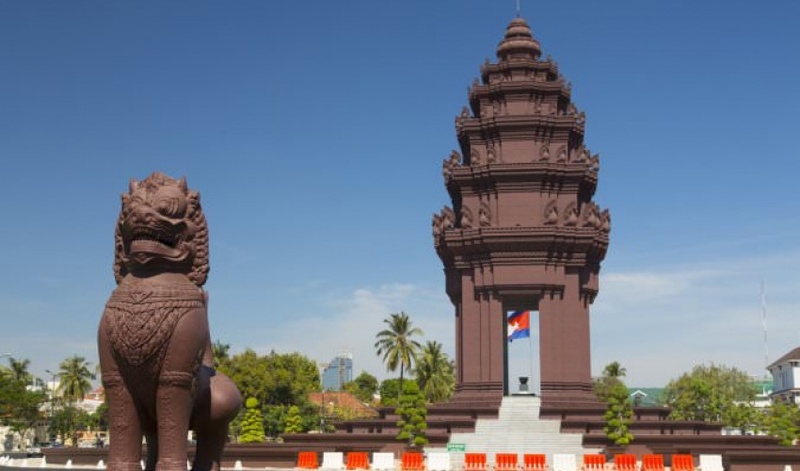 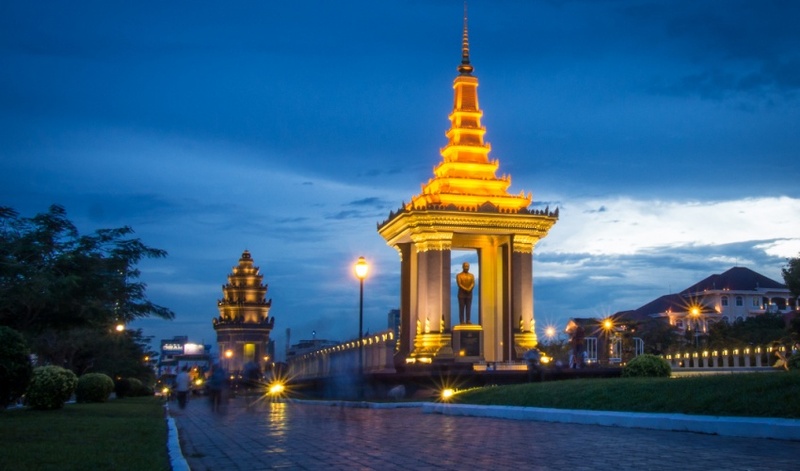 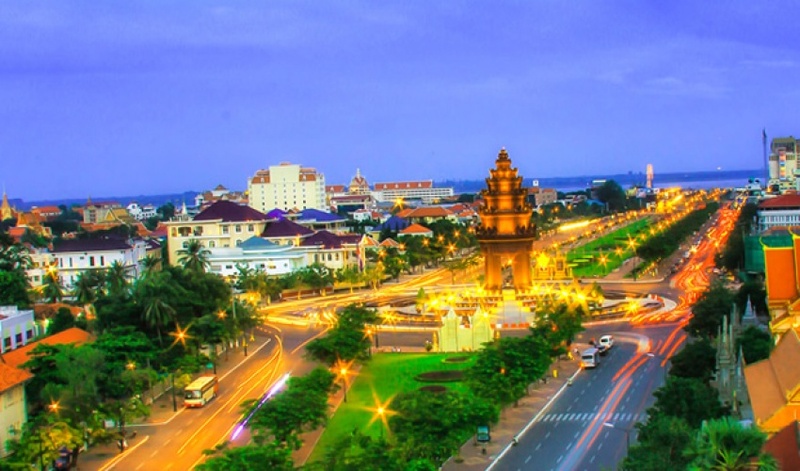 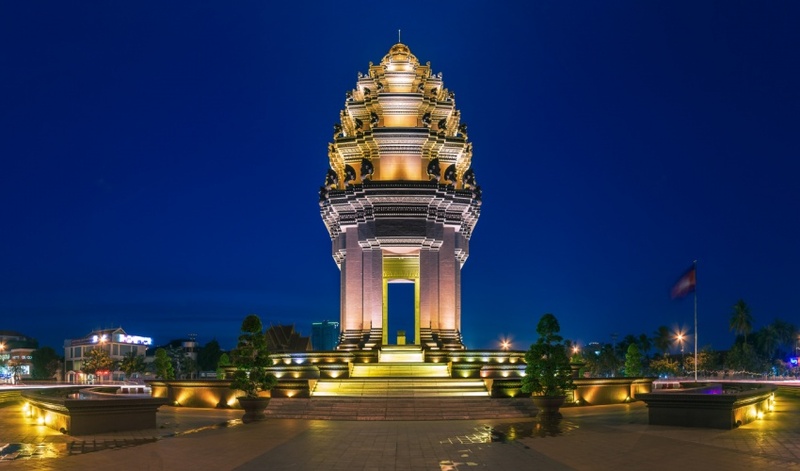 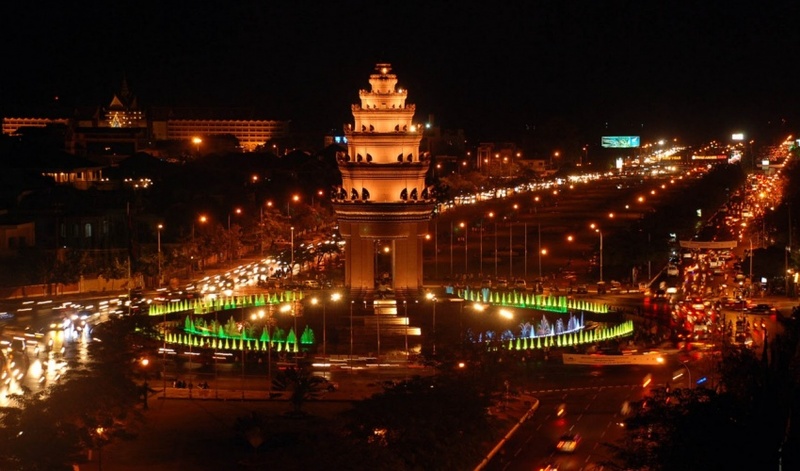 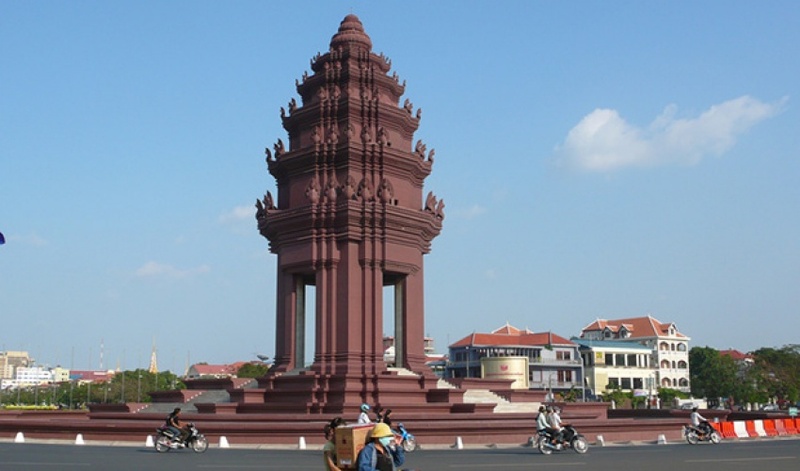 It is the site for celebrations and services.When walking around in the city of Phnom Penh, have a look on the Independence Monument,10 minutes walking behind the Royal Palace.